This week, we’re pleased to introduce you to Erin Young from Zen Green Tea. 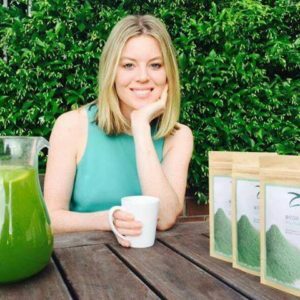 Erin is an entrepreneur and green tea expert, and she is passionate about empowering more women to become entrepreneurs. When she is not drinking tea, she runs her 4 businesses while she travels and mentors other small business owners. So far, she has visited over 64 countries. I grew up in Sydney and during university, I became interested in entrepreneurship because I wanted to be able to travel freely, and separate my time from my income. I joined some entrepreneur societies, and met some incredible people who had successful businesses. 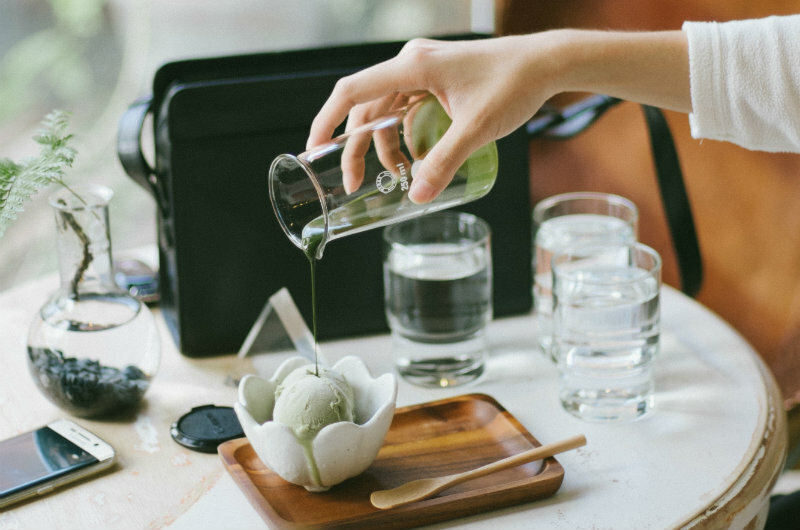 I began to think about ideas and, when I discovered matcha green tea powder, I saw an opportunity in Australia so I seized it and have grown my tea company since then. My matcha tea business opened the door into the health and wellness industry, so I’m also launching a fitness brand, Arena Strength. I noticed there was a big gap in the market for strong, anti-slip resistance bands so I’m in the process of launching my new business now. Talk us through how Zen Green Tea first came to life. I loved tea, especially green tea, primarily because of the health benefits, but I always hated the bitterness. When I was 20, I began researching online for a non-bitter green tea and that’s when I discovered matcha green tea powder. 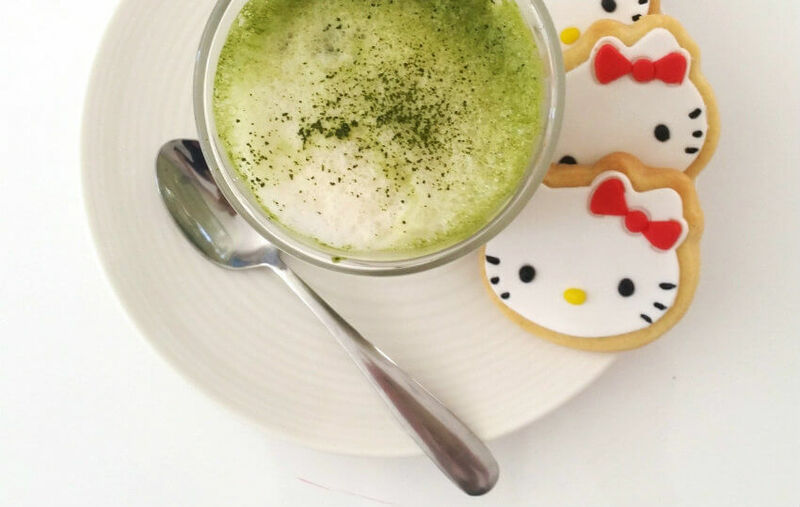 Matcha is a whole tea leaf dissolved in water, delivering 137 times the antioxidants of a standard green tea. At that moment, I knew I had to try it; however, I could not buy it anywhere in Australia. I made contact with a number of small sustainable tea farms and ordered their matcha green tea. I spent months tasting and choosing the perfect blend, which I then started selling to friends and family. When I started to get word of mouth business I knew I was onto something, so I built a website and it went from there. Is running Zen Green Tea everything you thought it would be when you first started? Zen Green Tea is everything and more. It has provided an amazing platform for me to learn how to be an entrepreneur and through it, I have met incredible people and have been able to live a life defined by my own values. Being an entrepreneur is a real passion and Zen Green Tea was the start of this path. Not to worry too much initially, and not to listen to the people who said starting a business is impossible. 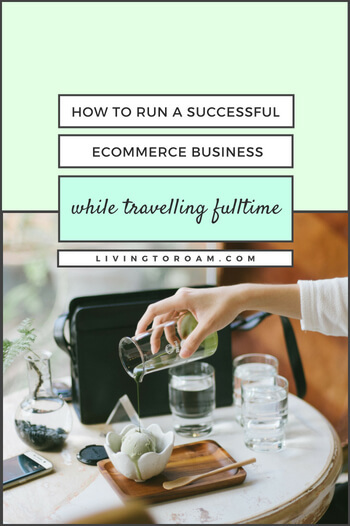 When I first started my business, everybody told me that it would be all-consuming and that entrepreneurs have no time for a social life or their family. I completely disagree. My experience has been the complete opposite. Zen Green Tea was built with the help of my family and friends, who never failed to step up whenever I needed them. Getting up early is key! 6 days of the week, I wake up at 5.30am and start working by 6am. I book in time for deep work sessions throughout the week to ensure I always get everything done, and I review each day at the end of the day. Before bed, I set goals for the following day too. Meditation and time off are also just as important, to ensure that my mind can relax as this makes me more productive when I’m working. 4-Hour Work Week by Timothy Ferris is a great book to give inspiration if you want to set your business up so that one day you will not have to be physically involved in the day to day operations. Awaken The Giant Within by Tony Robbins also helps set yourself goals & to work out what you value most from your life. How I Built This (podcast) is really inspiring too. I am a huge admirer of Emily Hamilton who runs the Supernova Group as well as Tim Ferriss. One mistake I made was quite early on in my business. When I was four years into the business, I received an email from a company who distributed to health food stores asking if they could sell my product. I agreed and they let me know a relatively small number of units they expected to buy each month. I set aside these units and went on a short holiday. While on vacation, I received a frantic call from my mother (who was helping me manage the business) saying this distributor just ordered more than my entire Australian stock of tea. This massive increase in volume meant that I had to air freight more stock into Australia and my parents had to take a week off work to help me pack stock. It’s small events like this that define the business and I am happy to say we were able to meet the new volume! Staying on top of stock and ensuring you’ve always got enough in case customers or distributors want more is a key to success. Financial freedom, which to me is having enough money to be able to make my own choices in life and support myself through the ups and downs of business. Physical freedom, which for me means being healthy enough to do the activities I want to do. Geographical freedom, which allows me to choose where I want to live. And finally, mental freedom where I can keep a clear mind and a constant sense of wellbeing and peace. When I set my business up, I knew I wanted to be able to manage it remotely, so I set up the processes to enable me to do this. I outsourced all logistics and have part-time contract staff rather than full-time staff. I always made the effort to work on the business rather than in it. Medellin in Colombia or Canggu in Bali are my two favourite places to live as a digital nomad. Both have great communities of like-minded people as well as co-working spaces, which allow you to meet successful people from all areas in the world. A typical work day starts the night before, where I have clearly written a plan for the following day. I will have booked in around 4 hours of deep work on business growth and 1-2 hours on administration. I try to wake up at 5am and be at my desk by 5:15am. I work until 12pm and then take a break for lunch. My afternoons are more relaxed where I might do some sports, work on some fun projects or if needed, catch up on a little extra business work. I do around 6-8 hours of sport a week, my current obsessions are Crossfit and a little surfing as well. I don’t think there is anything hard about it, it just requires the discipline to prioritize work. I easily do this by sticking to my weekly routine of working in the morning, structured planning and goal setting, and ensuring I work at least 30 hours a week. Having the flexibility to choose my own location and hours are two of the best things. I also love taking great travel breaks and spending a lot of time with my partner. If your business journey was a Hollywood movie, what genre would it be, what would be the title and who would you want playing yourself and why? It would probably be in the genre of drama and I’d be played by Emma Stone because I’ve been told I look like her 🙂 It would be titled “Everyday She’s Hustling” haha which basically sums up my life. Finally, what are your goals for the next year? 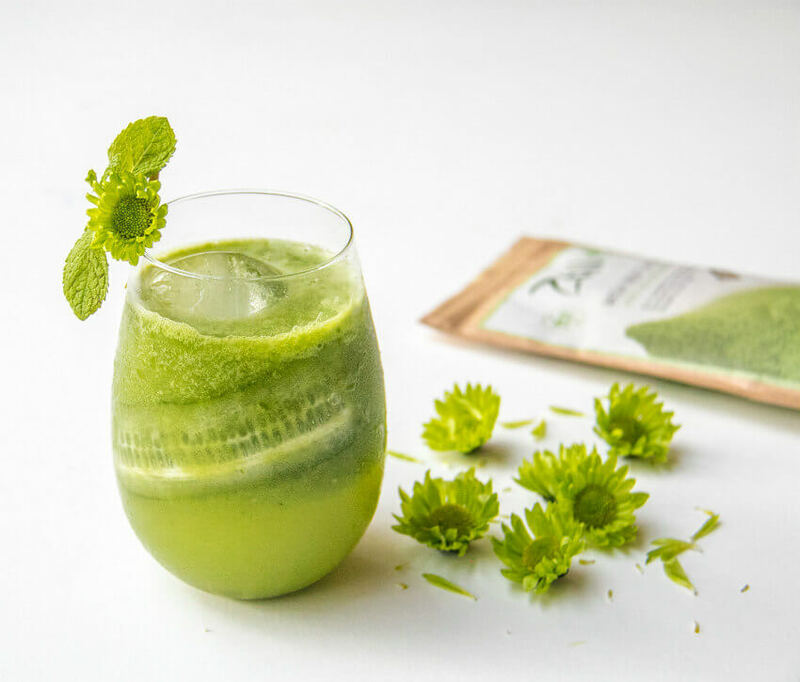 I’ve just launched Zen Green Tea matcha in the USA (as Evergreen Matcha) which is very exciting, as I hope to be able to take my business to the next level by opening up to a much larger market. As well as this, I’m launching a new fitness brand, Arena Strength, which I’m really excited to grow over the next 12 months. Have any questions about Erin’s journey as an entrepreneur? Pop them in the comments below!